A weekend of adventure and fun! Ever wanted to try something new and exciting? Join me on a BaldHiker weekend adventure in the Lake District that involves hiking, waterfall abseiling, canyoning, camping, cooking under the stars and much more. 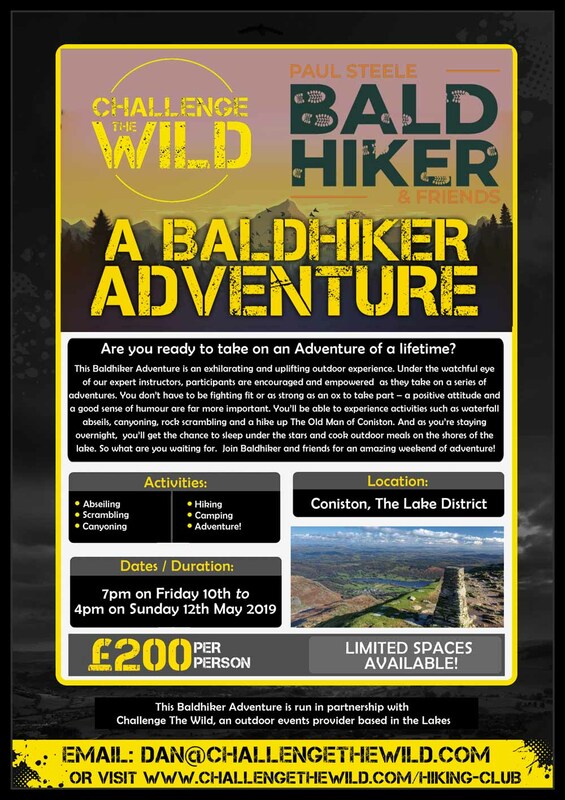 I have teamed up with Challenge The Wild to enable you to have a fun packed weekend with professional instructors and guides. Find out more below.